Oamaru-St Kevin's made it two in a row in Borton Cup cricket when it beat Waitaki Boys' High School First XI by six wickets on Saturday. Heavy rain overnight delayed play until 2pm and the match was reduced to 40 overs. Waitaki Boys won the toss and batted first. It lost the key wicket of Francois Mostert for eight in the fourth over, when the player-coach was caught by Will Sunderland off Mat Murphy's bowling. Four runs later, Murphy had his second wicket, as the side lost opener Blake Martin to slump to 15 for two. With the total at 23, the wickets of Ollie Kinzett (8) and Connor Lough (0) fell. Jacob Davies went with the total at 30 and six runs later, Waitaki Boys' lost Ben Paton and Mason James. Sam Keno went at 42 and when Liam Mavor was out, Waitaki Boys' had just 44 runs to defend. Craig Smith and Stephan Grobler took three wickets each and Murphy and Nick Johnston two each. Oamaru-St Kevin's lost opener Jordan Bartlett, bowled by Waitaki Boys left-armer Taine Stirling, with the total at two. Zac Naldrett (12) and Craig Smith (7) took the total to 16 before Mason James clean-bowled Smith. Just 11 runs later, Cameron Hassett (4) was the third wicket to fall and one run later, Naldrett (12) was back in the pavilion with the total at 28. Grobler (15 not out) and Nick Johnston (3 not out) saw the side through to 47 and victory with six wickets in hand. Oamaru-St Kevin's acting captain Grobler admired the approach of the opposition. "Despite having to defend a meagre total they were sharp in the field and with the ball and I thought that it was just as well we weren't chasing three figures. "The boys stuck to their task, despite the situation in front of them and they took four wickets before the game ended,'' he said. 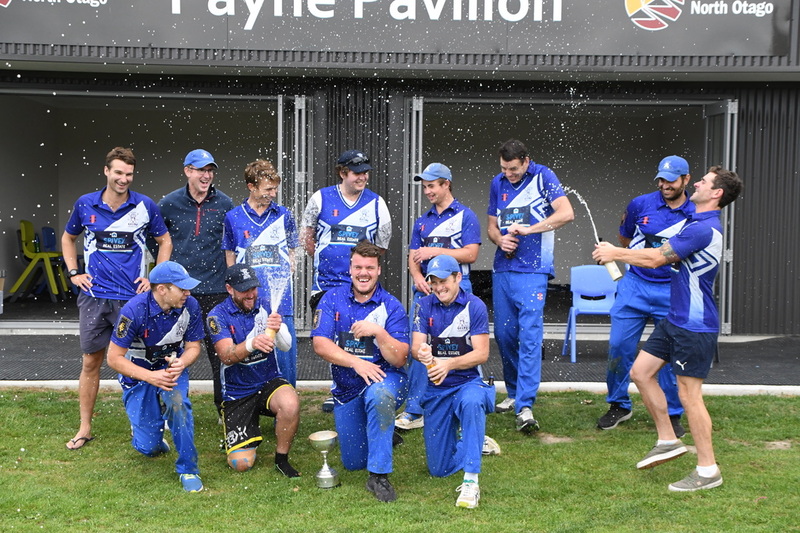 The North Otago Cricket Association held its awards at the conclusion of the Borton Cup final. Nathan Smith was named North Otago cricketer of the year, while the junior cricketer of the year was Molly Loe. Duncan Drew was awarded the Alexander Keith Memorial Trophy for services to North Otago Cricket. Cameron Grubb took the N. D. Ireland trophy for outstanding performance in representative cricket for his 11 for 126 against Mid Canterbury, plus the award for the most wickets. Llew Johnson took the highest runs aggregate with 236 runs at 78.67.The schoolgirls batting award went to River Cunningham, and Jayde Reid took the award for the tournament bowler.